The first step to flawless makeup application. This revolutionary hybrid product seamlessly blends the worlds of skincare and makeup by combining the Tom Ford infusing complex with new skin retexturing ingredients. It increases cellular vitality and contours the features while enhancing texture, toning and visibly brightening the skin. A luminous and flawless canvas is created for comfortable and long-lasting color. Apply a small amount to face after concentrate and moisturizer and before foundation. Dermatologist tested. It feels silky smooth on my skin and gives a nice healthy glow to my skin. Beautiful texture and goes on like silk. Wouldn't know you had it on your skin and gives a lovely matt-ish finish. Yes its expensive but worth it. Brightens my complexion and gives a nice glow from within effect after I apply my foundation. My makeup does last longer and goes on smoother. i love the texture, it is easy to blend in and makes my make up stays on all day. I really like this primer because it has antioxidants and ingredients to help the skin's texture and tone in addition to priming and illuminating the skin for a soft focus finish. love using this in the winter time when my skin is pale and dull. 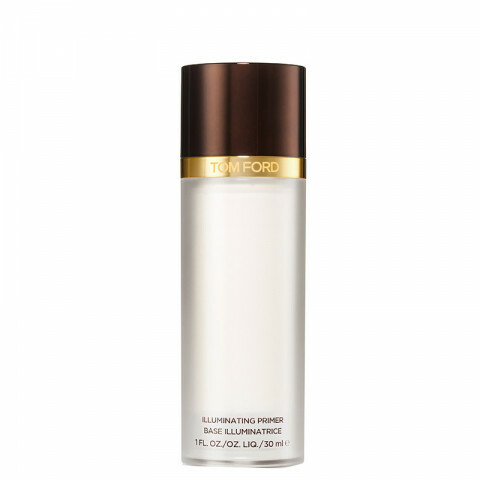 gives skin a nice luminous glow, preps skin well for foundation application. nice packaging too. Prime with this everyday, gives my skin a healthy glow and hels me apply my foundation easier too.